Today, Xiaomi Redmi Note 4 launched in India. The Redmi Note 4 comes with a premium metal body and just 8.5mm thick. The Xiaomi Redmi Note 4 phone also features a 5.5-inch 1080p display with a 2.5D display. Meanwhile, Xiaomi‘s new phone is powered by Snapdragon 625 processor, 2GB RAM, and 32GB storage. There is also variant with 3GB RAM / 32GB storage and 4GB RAM / 64GB storage. Note 4 also includes a 13MP rear camera with dual LED flash and a 5MP front-facing camera. 13MP rear camera with dual flash LED, 5MP front-facing camera. 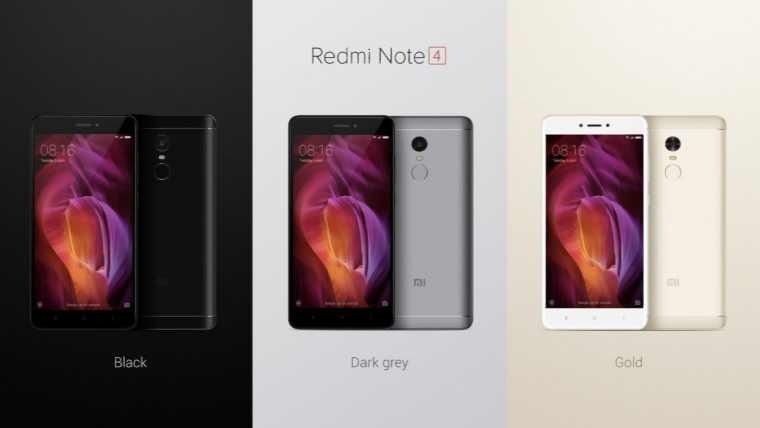 The Redmi Note 4 will start from ₹ 10,999 and go as high as ₹ 12,999 with three colors (Black, Gold, and Dark Grey) options. The handset will be available on Flipkart starting January 23.